This recipe has been handed down to me and I'm not sure where it came from. Drain the liquid from the marinated artichoke hearts into a stock pot. Chop the hearts coarsely and set aside. Add the butter to the artichoke liquid. Heat it gently, until the butter melts. Add the chopped onion and saute a few minutes. Add celery, mushrooms, salt, potatoes and basil saute 5-8 minutes over low heat, stirring occasionally. Gradually sprinkle in the flour, stirring constantly. Add water. Stir, cover, and simmer 15-20 minutes 9until potatoes are tender). Add the artichoke hearts, peas and spinach. Cover and cook over low heat another 5 minutes. Add milk (and/or cream) and return to a simmer then serve. In large stock pot, melt butter and sweat on a medium low heat the chopped onion. Add all remaining ingredients EXCEPT the cream and let simmer for 30-45 minutes until potatoes are tender. Add cream, return to a simmer and serve. The smoked paprika adds a nice smoky flavor that you might miss without the bacon that you find in other corn chowder recipes. In large stock pot, sweat onion in oil until tender. Add garlic, chicken, broth, enchilada sauce, cheese and seasonings. Amounts of seasonings are approximate based on the blend in your enchilada sauce and your particular preferences. In a bowl, whisk together masa harina with 2 cups water until well blended. Pour into pot with remaining water. Bring to a boil. Bring to a simmer and cover for 30-40 min. Optional garnish with crispy tortilla strips and sour cream. Boil frozen shrimp with tails on in stock and water until shrimp are pink. Strain broth- water into large measuring cup and set aside along with shrimp. Remove tails once cool enough to handle and place cooked shrimp in refrigerator until ready to put back in the soup. Sweat veggies in butter and oil over medium low heat until tender. Season with salt and pepper at this point. Once veggies are tender, add liquor and allow to simmer and reduce a bit (2-3 min). Return broth to the pot, add rice and additional seasoning, taste and season more if needed. Allow to simmer on low for 30 minutes, until rice is tender. With immersion blender or in batches in standard blender/food processor puree until smooth. Return to pot if not using immersion blender, stir in cream and reheat over medium heat. Add lemon juice, season if more is desired and serve. For an extra pop of flavor, allow your guests to add sherry to their individual bowls. Sweat onion in butter in a large stock pot over medium high for 3-5 min until tender. Season with salt. Add carrots and let sweat until tender. Once onion and carrots are tender and getting a little brown, add garlic, tomatoes, basil (the stem too! ), stock, tomato paste and seasoning. Bring the temperature down to a medium-low, cover and simmer for at least 15 min. TASTE IT! Add seasoning as desired and remove basil stem. Blend with immersion mixer until it’s as smooth as you like it. Add cream, stir and serve. Simmer chicken breasts in enough salted water or stock to cover plus a little extra. If you use plain water, taste it after the chicken is cooked to see if you need to add a chicken bouillon cube/granules or more seasoning. Once cooked, remove chicken to a cutting board and shred with two forks or flash cool it and pull it apart with your hands if you prefer. 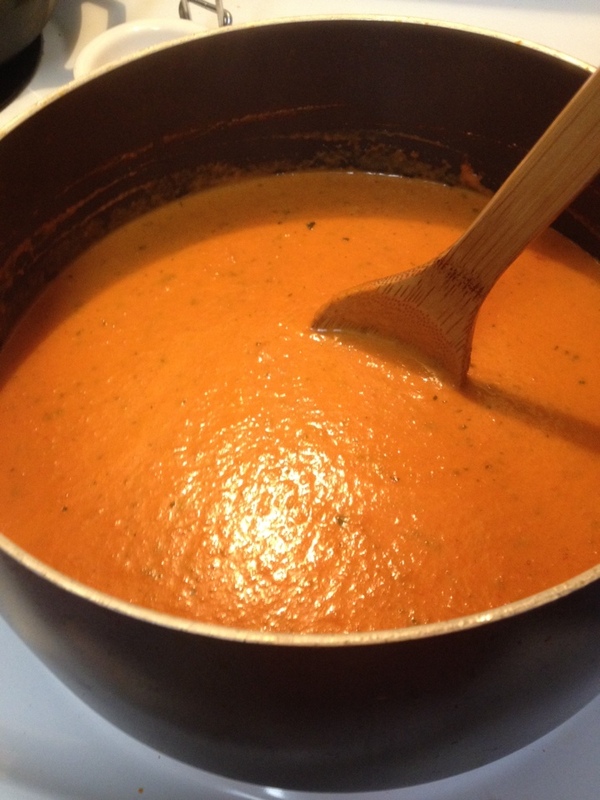 Separate ½ cup of the stock water and whisk in 2 tablespoons of flour returning to pot in order to thicken the soup. Season with salt and pepper and parsley to taste. Add frozen mixed veggies and cream. Bring to a low simmer. Lightly beat egg into milk. Sift dry ingredients together in a small mixing bowl. Combine wet ingredients with dry and stir until it looks like lumpy biscuit batter. Drop by tablespoons into simmering soup. Cover and simmer for 15 minutes w/out peaking. Don’t let the steam out. 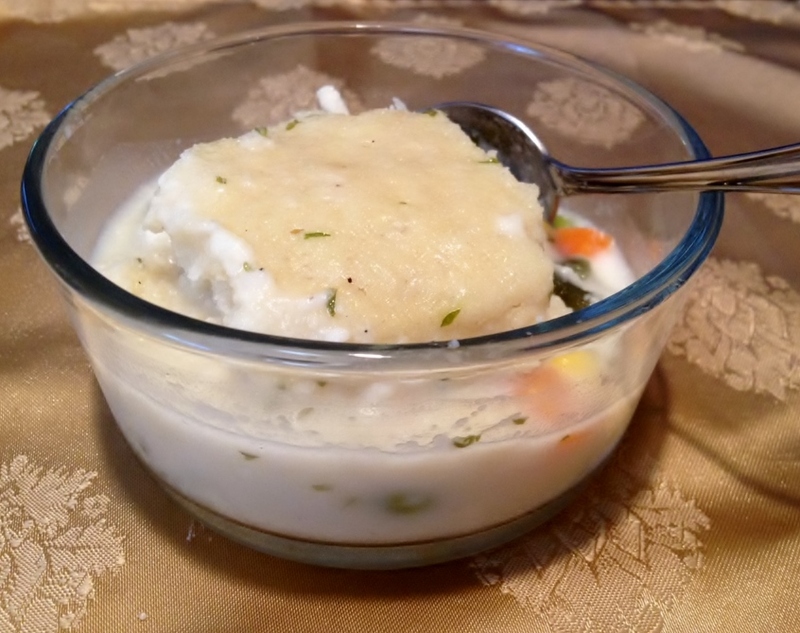 To store: keep soup separate from dumplin’s or it will become one viscosity. Sauté chopped veggies in olive oil and season with salt and pepper in a large stock pot for about 3-4 minutes until tender. Add garlic and stir then immediately add half of the black beans (don’t burn your garlic), seasoning and stock/broth. 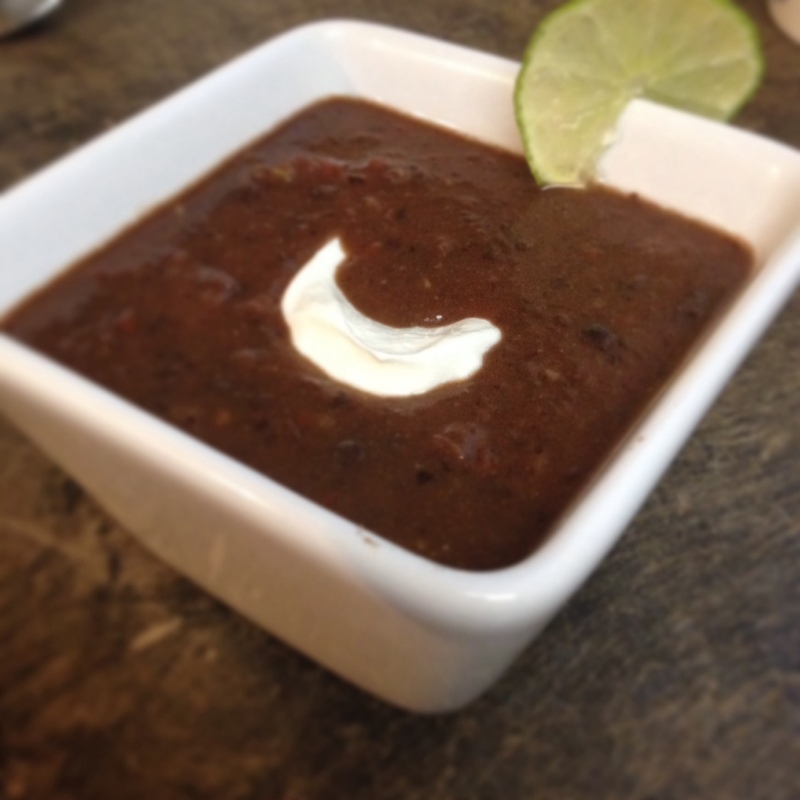 Use immersion blender to make a smooth texture then add tomatoes and the rest of the black beans. Simmer for a minimum of 15 minutes. Before serving, add lime juice. Top with sour cream as a garnish in each bowl. Too spicy? Add more sour cream or just keep eating, you’ll enjoy the endorphin rush! We love experiencing alternate cultures and adapting elements into our daily lives. My husband recently started working for an outsource IT contract company that is based in India. We live stateside but have had the opportunity to experience this culture in a new way. A couple months ago, “the boss” came over from India for about a week. I decided to host a team dinner party at my home. Many who practice the religion of Hinduism are either strictly vegetarian or have alternating days of vegetarianism. I gave great thought to what I would serve to our guests. I wanted to be careful to not try to mimic the food of a country I have never personally been to. I also wanted to serve all vegetarian so that no matter where our guests were on the dietary spectrum, they could try it all. I have also found that folks want to have flavors similar to what they are used to because, let’s face it, it’s scary to go too far out of your comfort zone! 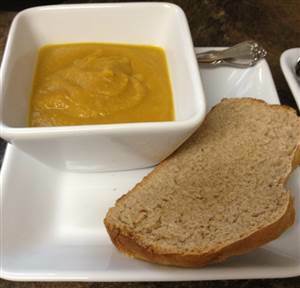 The conclusion was to make this wonderful butternut squash soup with curry spices. It was a little nerve racking making a new dish and serving it the same day to guests I’ve never met before. I started with scouring the internet for concepts. I am the kind of cook who never takes a recipe at face value. So I did my research and used my experience with blending flavors and came up with the following recipe. Please feel free to tweak it as necessary for your palette. Our guests loved the soup! Keep in mind there is a great deal of spice heat in this soup so if you are nervous to push the spice envelope, leave out the cayenne and maybe use less garlic. Taste throughout the process. If you get it too spicy, add more coconut milk to the pot or add some plain Greek yogurt or sour cream to individual bowls. In Large soup pot, heat oil over medium heat, add onions and carrots; sauté until tender. Add cubed butternut squash, stock, coconut milk and seasoning. Bring to a boil then reduce heat to a simmer for about 20 minutes. 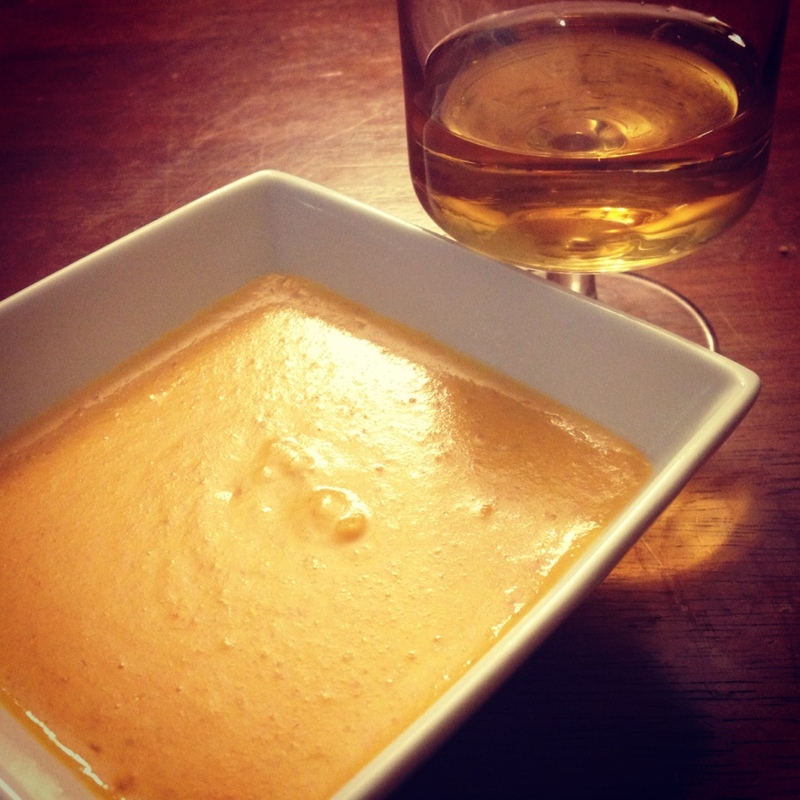 Before serving, puree with an immersion blender until smooth. Taste and add salt & pepper to taste. Optional: top with a dollop of Greek yogurt or Sour Cream.